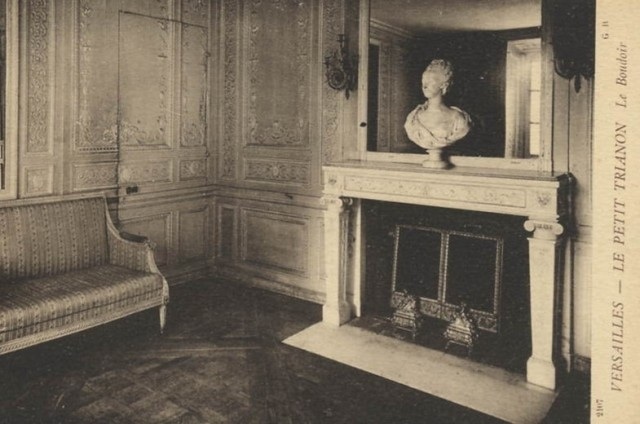 the boudoir at Petit Trianon, bust of Queen Marie Antoinette on the mantel. Image | This entry was posted in marie antoinette and tagged france, travel. Bookmark the permalink. Gorgeous postcard! Off now to find postcards one and two. Is there a note on the back? Great score! T.
lol…nope, no note on the back, I found it on an image search ages ago and did a right click, sadly. It would be neat if it were mine!